A leader of the MS-13 gang pleaded guilty to first-degree murder in the death of a man who was shot and slashed with a machete by a group of people during an October 2016 attack. 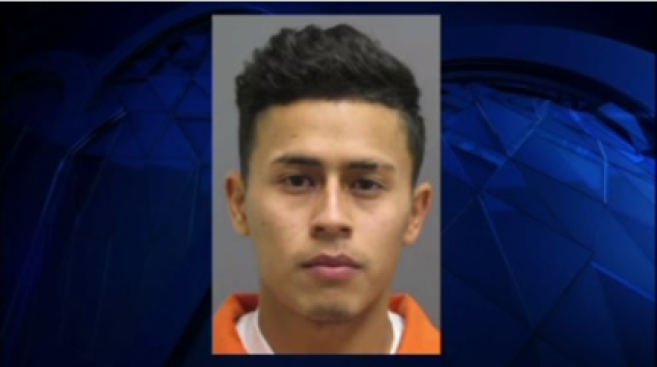 Marlon Argueta Flores, 24, admitted he fired the fatal shots that killed Edwin Chicas, 22, in Manassas, Virginia, last year. Flores faces up to life in prison when he is sentenced in March 2018. Prosecutors said Flores was one of eight people charged in the case, including two women. Those other cases have not gone to trial. Investigators said 11 of the 15 shots hit Chicas, and he was slashed with a machete after the gunfire stopped. Chicas was one of six siblings born in the United States to parents who emigrated from El Salvador decades ago. His family said they struggle to understand the severity of the violence. The family feared Edwin Chicas was involved in gang activity but never saw the signs at home. One of his sisters said families need to keep close tabs on their kids, even if it means searching their things to see if gangs are preying on them.